Garda College saw off Cork IT while GMIT defeated St Pat’s. GARDA COLLEGE AND GMIT both claimed victories in their preliminary round clashes in the 2016 Sigerson Cup this afternoon. Garda College saw off Cork IT by 1-13 to 0-8 while GMIT defeated St Pat’s Drumcondra by 1-12 to 0-9. Garda College were back in action at the elite stage of third-level football for the first time in recent years after claiming the Trench Cup title last February. Their clash was postponed yesterday due to bad weather conditions in Cork IT and after that pitch failed another pitch inspection this morning, the game was switched to the all-weather pitch at the University of Limerick. Corofin’s Justin Burke netted the only goal of the game with his early strike to the net giving Garda College an excellent start. They made the early running to lead to 1-5 to 0-1 after the first quarter. At the break Cork IT had cut the margin to 1-6 to 0-3 but entering the final quarter, they had were eleven points in arrears – 1-12 to 0-4. CIT enjoyed their best spell in the closing stages but ultimately suffered an eight-point defeat. Garda College now travel to face UUJ in the first round. Elsewhere it was a successful trip to Drumcondra for GMIT as they beat St Pat’s with six points to spare. GMIT were ahead 0-6 to 0-4 at the interval with Damien Brennan striking the only goal of the game in the second-half as they ran out six-point victors. An away trip to UCC is GMIT’s reward in next week’s first round clash. Email “Garda College and GMIT claim victories in Sigerson Cup clashes”. 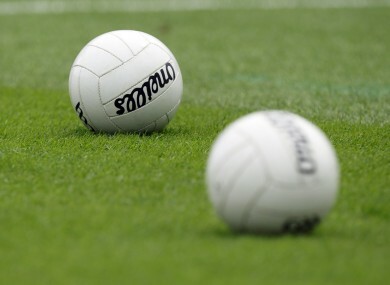 Feedback on “Garda College and GMIT claim victories in Sigerson Cup clashes”.